I’ve always loved optical illusion games like the ones here. 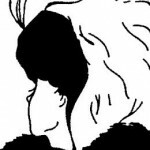 Can you see the dual images in both of these? 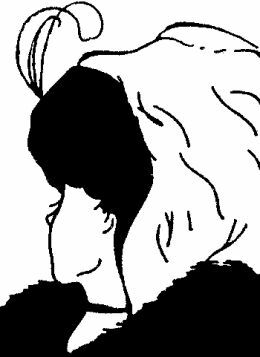 Even when I know for sure there’s another image in there than what I first see, I often can’t see it until I’ve looked again. And again. 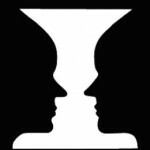 Deciphering these images is a great metaphor for the way we all see the world. In any given situation, we each see different things, and thus, we each see things differently. We have unique lenses and interpretations. The challenge, of course, is that we tend to think other people see things the way we do (what the heck is wrong with them if not, right?). This is human nature. I’ve written before about why this is the case (see Just the Facts), as this topic is a favorite among clients. Teams often ask for help managing the conflict that can accompany differing perspectives. It’s debilitating if not addressed. Being willing to really listen to someone else – with the intent to understand their perspective – is certainly not easy. It is a core prerequisite to being an effective leader though. While you don’t necessarily have to agree with others’ perspectives – or even accommodate them in your decisions – you do need to empathize with them. If people don’t feel they’ve been heard, how willing do you think they are to hear – or follow – you? He set a meeting the next day to meet the janitorial crew. He opened the meeting with an apology. That Sunday, he followed their lead. He shared how the work was physically intense and unpleasant. He realized the kind of fortitude his staff possessed, and understood first-hand how difficult their jobs were. Ted conveyed the combination of humility and pride he felt in sharing that work with his staff. His willingness to walk a mile in their shoes not only re-righted things, it taught him a powerful lesson about looking at things from another person’s perspective. To this day, his staff remembers his apology and the way in which he worked to make things right. There are of course supporters and critics on both sides of his position, and on how and why he changed his position. What I found myself considering is how much further we would be – in our families, in our organizations, in our country – if we could start by even acknowledging that another perspective exists. So much conflict stems from a complete and total disavowal of another’s perspective. The “win/lose” and “I’m right / you’re wrong” mindset that pervades so many conversations is completely void of empathy. Are there places you bring that mindset? There is always another perspective than yours. Just like the images, this isn’t an illusion. That different perspective is as legitimate to that person as yours is to you. As leaders, we often label others’ perspectives inside our organizations “resistance.” This “resistance” tells you what matters to people, and often highlights things you can’t see from your vantage point. Find out what’s there. Resistance can’t begin to go away unless people feel they’ve been heard. Staff may toe the line once an executive decision has been made, but don’t confuse that with leadership. Or followership. With those thoughts in mind, what issues facing you today can you re-examine? Are you willing to look for that other perspective? I look forward to hearing what you find!